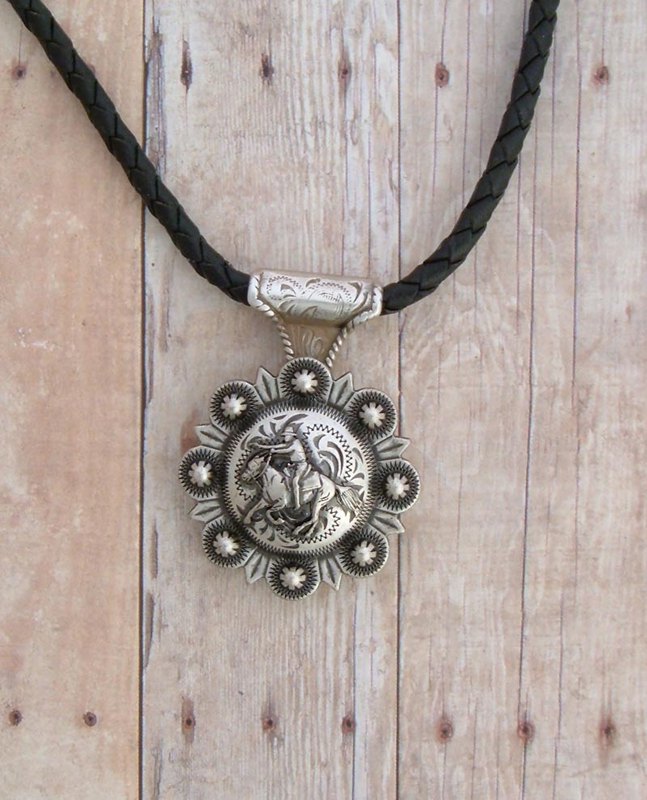 Western Jewelry Necklace, Concho on Bolo Leather.If you ride, this is your necklace, if you wish you can ride, let this is your inspiration. 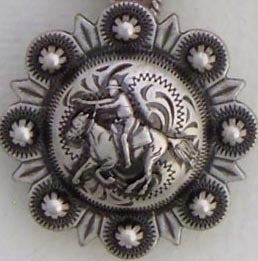 This is the perfect size concho at 1-1/4". 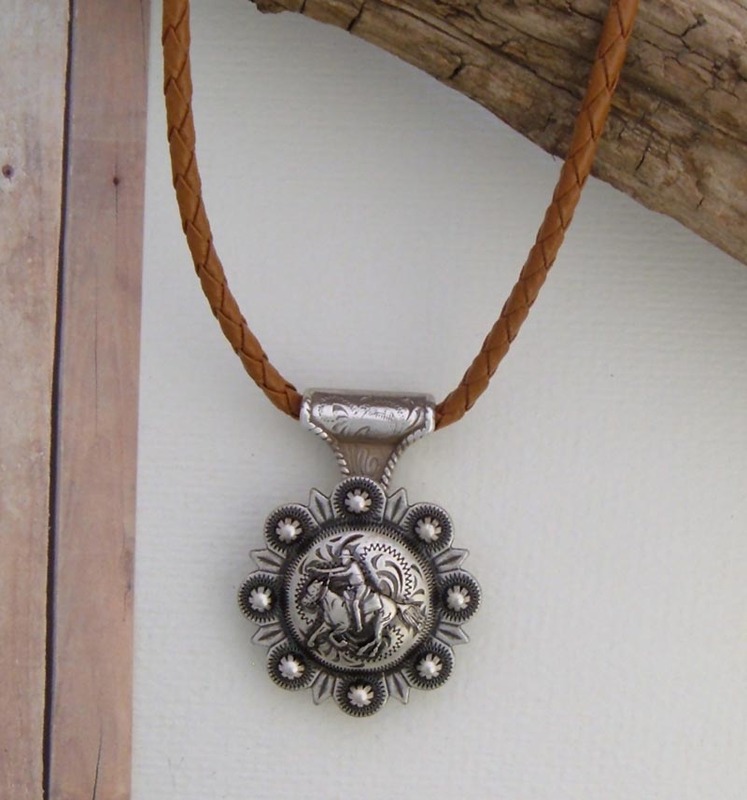 It's not bulky or too big to wear every day throughout the seasons. 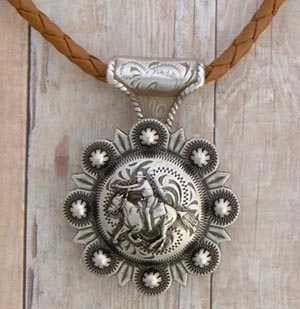 The concho is suspended on a brown leather bolo necklace, 18" in length, with lobster claw closure. 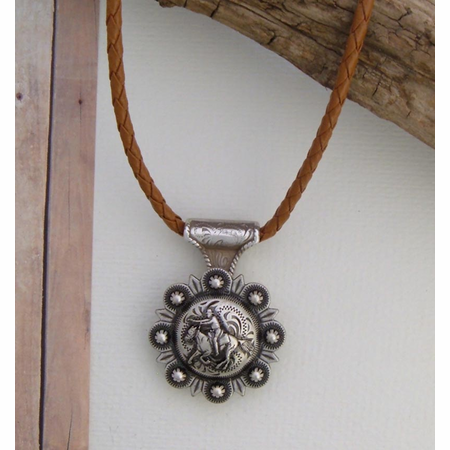 This necklace is comfortable to wear, it's simple, and it makes your statement, great to look at too! 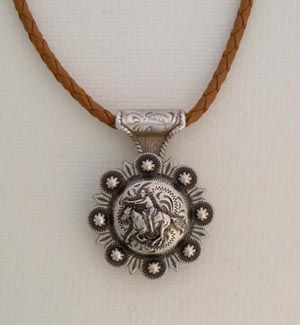 Can be worn by men and women.